The front of the instruction cards provide suggested weight ranges for each size. The back of the instruction cards. RIG IT RIGHT but if it won't flip one direction move the line from the 9 O'clock position toward the 6 or 12 O'clock position. 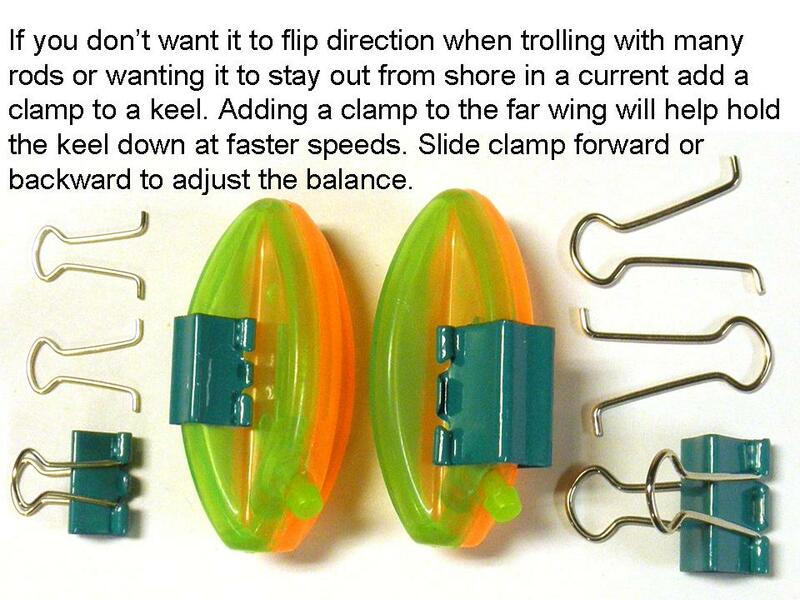 It will surprise you at how much difference this little change can make and is often needed when fishing currents from shore to get the to go out into the current. How to put on a BulletBobber without breaking the line. 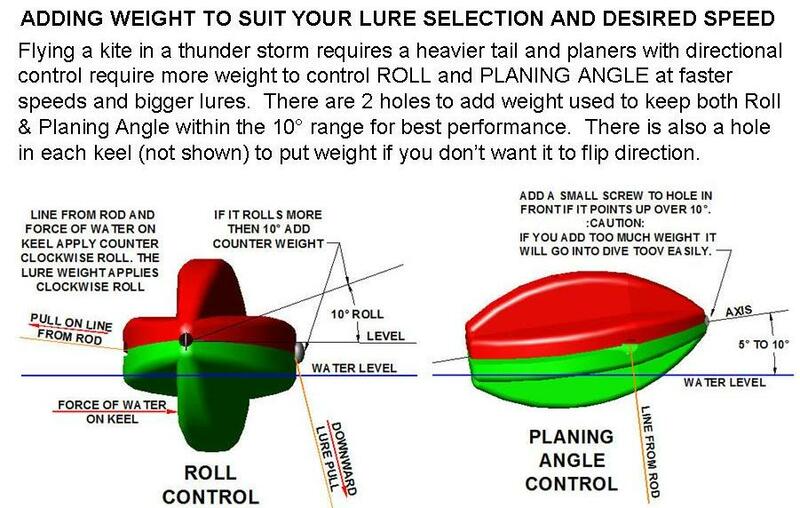 If you want to fish deep with the BulletBobber you can try drilling a 1/32� hole through the peg. As you can see I didn�t get all the way through before the drill bit came out the side but close is good enough. 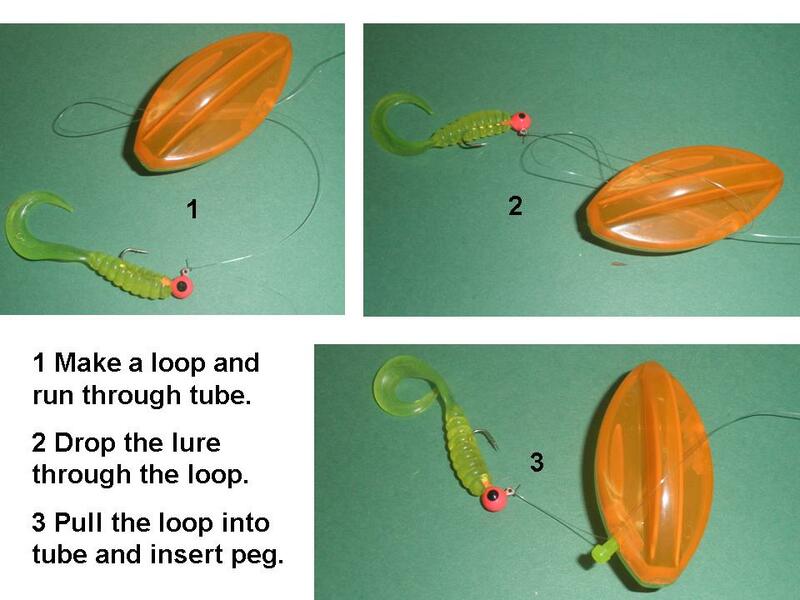 To rig it, thread everything like shown and then make a loop and put the peg in. When you set the hook the loop will straighten out and everything will slide down the line so you can reel in. If you are in a boat just hold the bobber and let your lure or bait drop to the bottom. Then lift it up the distance you want to troll off the bottom and attach the BulletBobber with a loop. Pull out the loop by hand a couple times to get the feel for the release sensitivity you want.